Important Note: by law, anyone who is traveling in Rwanda must have health insurance. It's vital that any traveler visiting the country has a comprehensive travel insurance policy with adequate medical care, including air medical evacuation, prior to arrival into Rwanda. Yellow fever is not present in Rwanda, however, proof of vaccination card is required if you are arriving into the country from a yellow fever affected country. Rwanda's medical services are basic, with serious and emergency cases evacuated to Nairobi in Kenya or South Africa. It's a good idea to pack a decent travel first aid kit, especially if you are heading away from the capital or other major towns. If you need to take medications while traveling, bring what you need for the entire trip as well as a doctor's letter outlining each medication, its use, dosage etc. Read our article on traveling with medications to learn more. 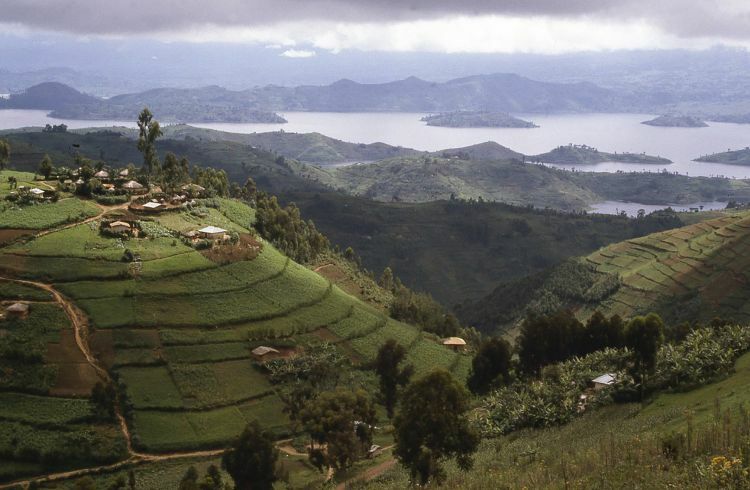 Rwanda lies in the malaria belt of Africa (except above altitudes of 6,561ft (2,000m)) so it's a must for travelers to protect themselves during the night when the female Anopheles mosquito is active. Learn more about malaria with our travel article. Food and water-borne illnesses, such as typhoid, hepatitis A and traveler's diarrhea, are present in Rwanda. Don't drink the local tap water, instead use purified/treated water, practice good personal hygiene and take precautions when eating out. The Ebola virus is currently not present in Rwanda however, if you are planning to travel to Rwanda from North Kivu province in the Democratic Republic of the Congo, where Ebola is present, you must inform the Rwandan Ministry of Health prior to your arrival; a 21-day quarantine period will need to be observed before any further travel through the country. Avoid swimming in fresh water to avoid exposure to certain water-borne diseases such as schistosomiasis. Schistosomiasis is a disease caused by parasitic worms called schistosomes carried by freshwater snail species and is commonly found in tropical regions. Symptoms are similar to African Sleeping Sickness plus throw in chills, coughing and stomach pain. Seek medical treatment as quickly as possible. If treated early, the infection can clear in a few days. More than a billion people are at risk of the disease worldwide and 300 million are infected. The parasite larvae develop in snails which infect humans. The human body is the host in which they mature and reproduce. African Sleeping Sickness is present in Rwanda. It's an infection caused by a parasite, Trypanosoma brucei rhodesiense, carried by the Tsetse fly, which is found in rural locations. When an infected fly bites you, the infection spreads through your circulatory system and can it result in swelling of the brain. Symptoms include headaches, skin irritation, fever and joint pain, with advanced cases exhibiting disorientation, a lack of coordination and change in behavior. You will know when a tsetse fly bites you – it's a painful sting. You should take precautions to prevent bites and seek medical treatment immediately if you feel unwell. Altitude sickness can cause serious illness for travelers who plan to trek in the Volcanoes National Park as several peaks are over 8,200ft (2,500m). Travelers should take the time to acclimatize as they ascend.